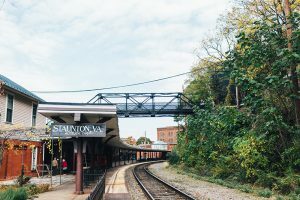 In existence because of the Virginia Central Railroad arrival in 1854, the Wharf Area Historic District is on the National Register of Historic Places. Therefore, it’s no surprise to find the 1902 C & O Train Station among one the key architectural prizes in The Wharf. While it’s not the original 1854 depot (rather, it’s the third), the building’s style is what is unusual. Who would consider Bungalow style for a train depot? T. J. Collins, of course. Today the depot is home to The Depot Grille. As business boomed when the railroad came to town, The Wharf Warehouses sprung up across from the depot to support the activity. 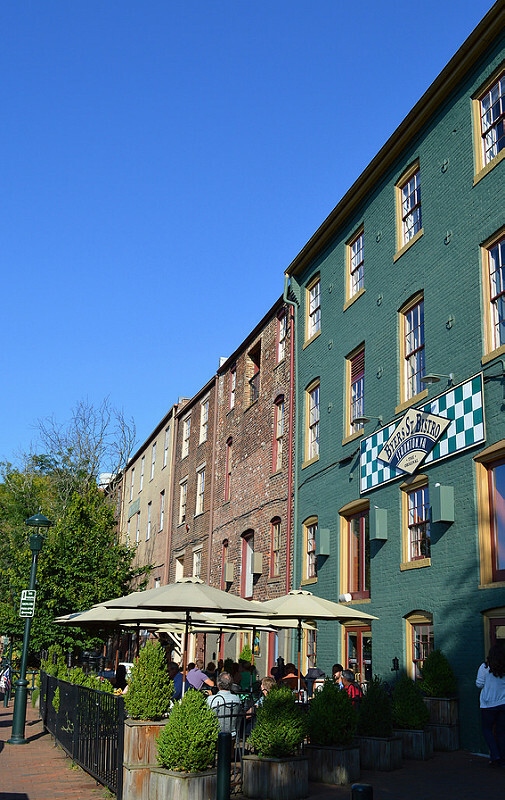 Built between 1870 and 1910, this row of brick warehouses were the place to find the farmers, grocers, and wholesalers engaging in commerce. 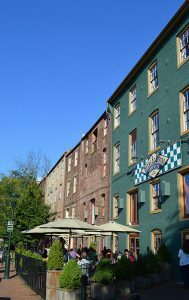 The buildings now house retailers, offices, and restaurants rather than goods and supplies. Also adjacent to the train depot is The American Hotel, circa 1855. The Greek Revival structure was built by the railroad and served the traveling public well. A key claim to fame was the 1869 overnight stay by President and Mrs. Ulysses S. Grant, who emerged from the balcony while being serenaded by the Stonewall Brigade Band outside. 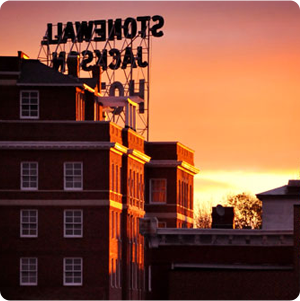 Visitors to The American Hotel today are likely there for a special event. The structure has been restored and renovated, keeping the 1950s architecture and details in the Banquet Room. 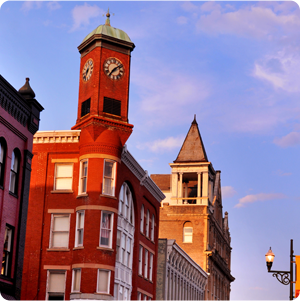 The Historic Staunton Building at 120 S. Augusta Street was built in 1876. There are two especially unique facts about it: 1) The upper levels of the façade is fluted metal giving the appearance of columns; 2) it’s built over the still-flowing Lewis Creek. Today you’ll find attorneys and other professionals at work within the building. 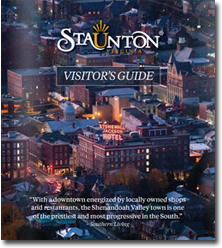 Continue your virtual “walking tour” of The Wharf District by visiting the Historic Staunton Foundation’s Flickr Account.